Kami received his B.A. and M.A. in 1981 from the University of Paris-Sorbonne, France, and afterward he studied at Conservatoire Libre du Cinema, Paris, in 1982. Kami’s portrait series “In Jerusalem” was included in the 52nd Biennale di Venezia in 2007. Recent solo museum exhibitions include: “Perspectives,” Arthur M. Sackler Gallery, Smithsonian Institution, Washington, D.C. in 2008; “Beyond Silence,” National Museum of Contemporary Art, Athens in 2009–2010; and “Endless Prayers,” Los Angeles County Museum of Art, California in 2016–2017. The Swiss writer Kuno Raeber (1922-1992) published six volumes of poetry from 1950 to 1983, with poems from his literary remains following in 2010. His poetry often treats religious themes, and his writings are filled with historical and mythological references. His published and posthumous works appeared in 2010 in the Werke (Collected Works), and include, alongside poetry, volumes of essays and criticism, dramatic pieces, travel books, stories, and novels. Stuart Friebert has published a dozen books of poems, among which Funeral Pie co-won the Four Way Book Award in 1997. He recently published Decanting: Selected & New Poems: 1967-2017 (Lost Horse Press). Christiane Wyrwa studied German and English Literature at Göttingen, Durham (GB) and Berlin, where she took a Ph.D. in 1981. Reverend Doctor Brian Kirby holds a doctor of ministry degree in arts and theology from the Wesley Theological Seminary in Washington, D.C. Kirby also holds a master of divinity degree from the Baptist Theological Seminary of Richmond, Virginia. His undergraduate degrees in music and French are from Appalachian State University, Boone, North Carolina. He is the pastor of Rome International Church in Rome, Italy, and is a frequent visitor to Taizé where he has been able to work directly with several of the Brothers of Taizé to better understand their community and its theology. Born in 1975 in Damascus, Hratch Arbach makes artwork and builds installations that take on some of the toughest issues in Middle Eastern politics today, such as the Syrian Civil War and suicide bombers. Arbach is from a Christian family, the child of a Syrian father and an Armenian mother. Pursuing a career in science, he moved from Damascus to Paris in 2000, completed a doctorate in molecular biology, and then eventually became an artist. Arbach studied at l’Ecole Nationale Superieure des Arts Decoratifs. In 2014, he became the first Middle Eastern artist to take part in Nuit Blanche, an annual all-night arts festival in Paris. Arbach exhibited his installation, “Mawtini—Notre Terre” in the Church of Saint-Séverin in the Latin Quarter. I met Arbach in his home in New York City to hear about this work. David Penchansky is a professor of Hebrew Bible at the University of St. Thomas. His research and writing have focused on the books of Job, Proverbs, and Ecclesiastes. Currently, his research concerns the interpretation of the Qur’an. He is active in the newly formed International Qur’anic Studies Association. 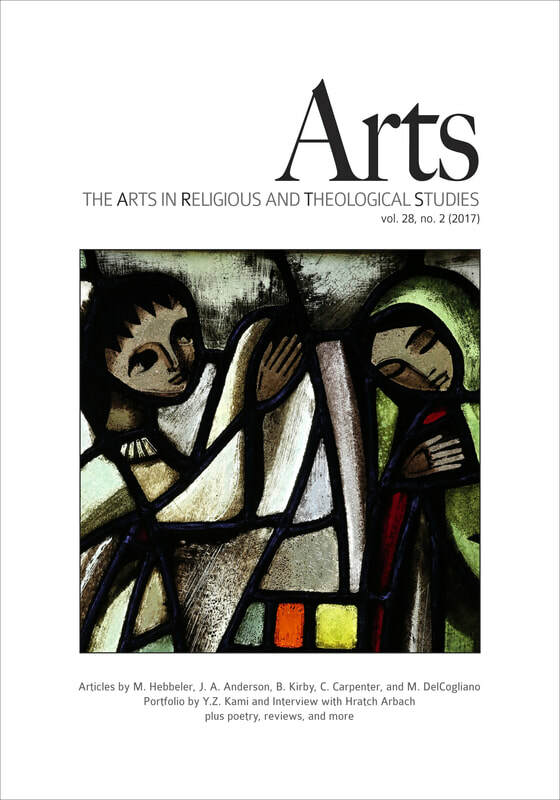 He reviews films of theological significance for his department’s publication, Theology Matters, where this review first appeared.